Free up your mind for adventure in this amazing place. While you are in Komodo National Park as if you are on another planet, a very impressive and unforgettable experience when you visit it. Come to Komodo National Park in the East Nusa Tenggara. There are a beauty waiting for you here, as well as the richness of underwater. While on it plastered the beautiful islands white sandy beaches until beautiful pink sandy beaches when greeted by the Sun. Although the size is large, has scales and sharp-toed, long tongue, also its form looks ancient, you don't need to afraid while you see them because of every visitors who visit this park will be guarded by one or more guard. You just need to obey all rules, guidance, and suggestion from the skilled guards. Komodo is rare species that is going to extinct, only found in Komodo National Park. Because of its uniqueness and scarcity, Komodo National Park is avowed as a World Heritage Site and Man and Biosphere by UNESCO in 1986. Firstly found by the scientific world in 1911 by JKH Van Steyn. Since that time, he later expand his conservation destination to protect all biodiversity in the land and sea. This park is covered an area of 3 main island like Komodo island, Rinca island, and Padar island, also many small islands by the total of 603 square kilometre. The total area of Komodo National Park nowadays is 2.321 square kilometre. At least, 2.500 komodos live in this area. Komodo by the large size usually has a lenght of 3 m and the weight is 90 kg. The komodo habitat is in outdoors surrounded by savanna, green forest, white sandy beach, coral reef, and the beach with clean water. In this area, you can find horse, wild buffalo, deer, wild boar, snake, primate, and various type of birds. Komodo National Park has incredible underwater biodiversity. Many divers say that the waters of komodo is one of the best dive spot in the world. Has the amazing underwater scenery, you can find 385 beautiful coral species here, mangrove forest, and sea grass as the place for thousand species of fish, 70 kind of coral flowers, 10 kind of dolphins, 6 kind of whales, green turtle, and various type of shark and stingray. Many things you can see and do here. An amazing experience if you look komodo from the close distance in its original habitat together with guide. In Rincan island, you can see komodo lie down outside of the guide house of national park or lie down near house officers. Before, to seeing komodo, you have to give a goat so komodo will come and eat it, however it has been prohibited nowadays. If you don't have time to see komodo, Rinca island and Komodo island have beautiful sceneries by white sandy beach, mangrove forest, savanna, and clean blue sea. Here you can do another activity like diving and snorkeling. You can go to sea by using sailing ship or fisherman ship. Some dive places that is suggested are Pantai Merah, Batu Bolong, and Tatawa island. When you are on the boat, don't be astonished if you are greeted by dolphins, even if you're lucky you can see green turtle or some whales swim in this waters. If you want to see thousand bats, you can stay over night on motor boat in the waters of Kalong island near Rinca island. 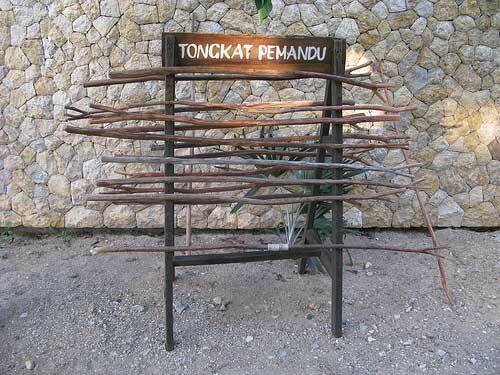 Here the explanation about the nature in Komodo National Park. In this island, the amount of animal who live on the land is less than the animal in the sea. However, though on the land is inhabited by little amount of animal but this is the unique habitat for komodo. Also many endemic mammals like deer, ape, pig, and weasel. Some reptiles and birds have similarity like in Australia. Include legged-orange scrubfowl, lesser sulpher-crested cockatoo, and nosy friarbird. Mammals like timor deer (Cervus timorensis) as the main prey of komodo, horse (Equua sp. ), buffalo (Bubalus bubalis), wild boar (Sus scrofa vittatus), long tail ape ( Macaca fascicularis), palm weasel (Paradoxurus hermaphrodites lehmanni), mouse that only can be found in Rincan island (Rattus rintjanus), and fruit bat. Also you can find goat, dog, and cat. Bird is one of the main species here. There is legged-orange scrubfowl (Megapodius reinwardt), a bird live on the ground. In the area of savanna, there are 27 species you can see. Geopelia striata and Streptopelia chinensis is one of species that usually found. 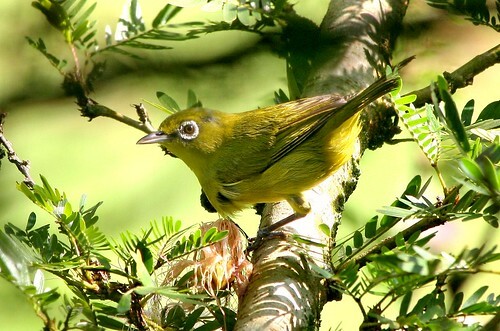 There are also 28 species of bird, Philemon buceroides, Ducula aenea, and Zosterops chloris that most frequently encountered. Marine area forming 67% of national park. The open waters in national park has the depth of 100 and 200m. Rinca strait and Flores strait also Padar and Rinca is relatively shallow by the depth of 30 until 70 m, with large current. The combination between strong current, coral reef, and small islands make islands around Komodo island is hard to reach and dangerous. Safe port are located in Loh Liang bay in the east coast of Komodo island, southeast coast of Padar, The bay of Loh Kima and Loh Dasami in Rinca. In the northern of national park, the water temperature is ranged between 25-29ºC. In the middle, the water temperature is ranged between 24ºC and 28ºC. The water temperature is lower in the south, approximately between 22ºC-28ºC by the salinity level is about 34 ppt and the water is clear enough although the water near the island is slightly turbid. Indonesia is the only country that is crossed by equator line in the world where there are the exchange of marine flora and fauna between Pacific Ocean and Indian Ocean. Corridor of Nusa Tenggara (in the past named as Lesser sunda) between Sundan and Sahul and postpone the displacement between Pacific Ocean and Indian Ocean. 3 main ecosystem in Komodo National Park are sea expanse, coral reef, and mangrove forest. This national park is the displacement of cetaceans. 3 main floras in the sea are algae, seagrass, and mangrove tree. Algae is a primitive plant and doesn't has root, leaf, and stem. The important composition of algae coral is red algae coraline, which release hard limestone skeleton that can be crusted and imbed the dead coral. Lamun or seagrass is modern plant that generate flower, fruits, and seeds for reproduction. As the name, the form of Lamun is like a large grass which grow in underwater sand near the sea edge. Thalassia sp. and Zostera spp. are the most abundant species can be found in national park. Mangrove tree can live on the salty ground or water and can be found throughout national park. Identified at least 19 species of native mangroves and several species of another mangrove that is located in the border of national park. Komodo national park is included in one of the richest marine diversity in the world. The marine life in this national park is recorded 259 type of corals and 1000 type of fishes like barracuda, marlin, yellow tail fish, red snapper, & baronang. Here you can found forams, cnidarians, include of more than 260 species of the combination of coral reefs, 70 species of sponge, ascidians, marine worms, molusca, echinoderms, some kind of shrimps, cartilaginous, and more than 1000 species of bony fish, marine reptiles, marine mammals like dolphins, whales, and dugong. Some important species which is commercially valuable are sea cucumbers, napoleon fishes, and sardines. There are some flights everyday and for the destination from Bali - Labuan Bajo or the airport of Komodo island - Bali where it needs 1,5 hours. Everyday, there are 2 to 3 flights from Bali to Labuan Bajo by Transnusa, IAT (Indonesia AIr Transport), and Merpati Airline. Moreover, there are the flight twice a week from Kupang. Motor boat that connect inter-island from Sape in West Nusa Tenggara also available everyday if the weather is good, or PELNI ship from Bali and Lombok is stopped here every 2 weeks. Ground transportation from the east is also available in the mainland of Flores like Ruteng, Bajawa, Ende, and Maumere. If you're interested to do long travel in Flores, you can start from Maumere to the west like Moni, Kelimutu, Ende, Bena, Bajawa, Ruteng, and the last, Labuan Bajo (Komodo island). Sites of www.floreskomodo.com gives complete information about the way to Flores. Don't go alone. It's better if you go together with tourist guide or park officers. Don't disturb or feed Komodo. Although the movement is slow and lazy, but sometimes can be aggressive and move fastly. When you do trekking, please bring two-forked stick. Komodo usually afraid if you bluff them by the stick. Please use shoes. Komodo island, Rinca island, and Pidar island have 12 types of snake and 3 of them are poisonous, for the example are green snake that live on the tree, cobra, and russel's viper which live in the ground hole of savanna. Women who are menstruating have to report at tour guide or officers. Komodo has sharp olfactory and can be aggressive if they smell blood. Please bring some anti-mosquito lotion. Mostly the place in Komodo island and Rinca island are savanna that is easy to burn in the dry season, so you are prohibited to smoke or light a fire. For the accommodation, like in Loh Liang (Komodo Island) then in Loh Buaya (Rinca island) also has simple house with several rooms. Luxurious hotel by the limited capacity is under construction in loh Liang. Mostly the tourist that visit Rinca island are not stay here, they come from Labuan Bajo and stay in hotels at Labuan. Tourists that come to Komodo island usually stay on rental motorboat. Almost all motor boats have cabin and bedroom. Large motorboat usually has comfortable bedroom. The house of guard of national park that has been renovated into ecological stylish accommodation, by the modern facility like private bathroom, limited electric supply, and food. Only several moves to Loh Liang beach. The house of guard become alternate accommodation for tourists for various reasons can't sleep on motorboat. Located at the northwest of Flores island, this place is famous by the name of Batu Gosok, a separate peninsula. A land by an area of 250.000 km² is the pleasant place for snorkelling, diving, and the nature adventurer. An amazing small bay has more than 1000 m of white sandy beach and wooden dock. The marine park has colour of purple, yellow, blue, and fuchsia cohere with brightly colored fish that swim between the corals. Ecological cottage of Bajo is located under the non-profitable organization named Iniradef. This organization develope local human source and also environment-friendly conservation building. This program is recieved well by local community. The hot water here use solar power, there are water storage system and waste processing for plantation. Simple bed use mattress in boat deck is enough for small group until 4 peoples,the food is cooked directly on the boat, also available mineral water in bottle, and simple toilet. In Labuan Bajo, you can stay by the rent price start from Rp 100.000 /night and eat in its restaurant start from Rp 20.000 /people. Larger boat with cabin, food facility, and safety equipments is available for the tourist that come to Komodo through Bima. Although it needs more than 7 hours on the sea, the comfortable facilities in the boat is better compared with the boat from Labuan Bajo. Gg.Masjid, Kampung Cempa. Labuan Bajo, 86554 West Manggarai. East Nusa Tenggara.